Google announced they are now providing ways to report on your historical quality score in Google AdWords. 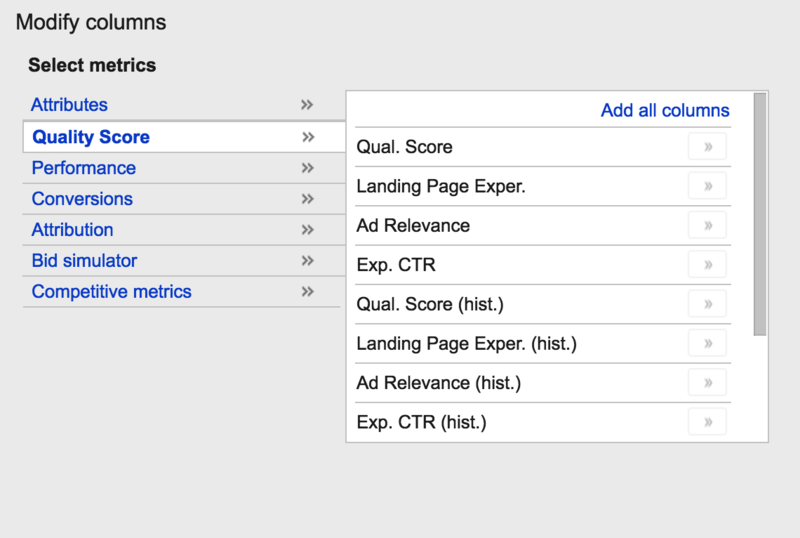 In addition to the historical quality score, you can also get historical landing page experience, ad relevance and expected CTR. Google said this week they are "rolling out several improvements to Quality Score reporting that make it easier for you to get more visibility into these scores." Google explained to help you understand what this looks like, let’s take a look at the example report above, which is segmented by day. Let’s say it’s Feb. 10 and you want to see what the Quality Score was for your keyword “Oranges” from Feb. 3 to Feb. 8.